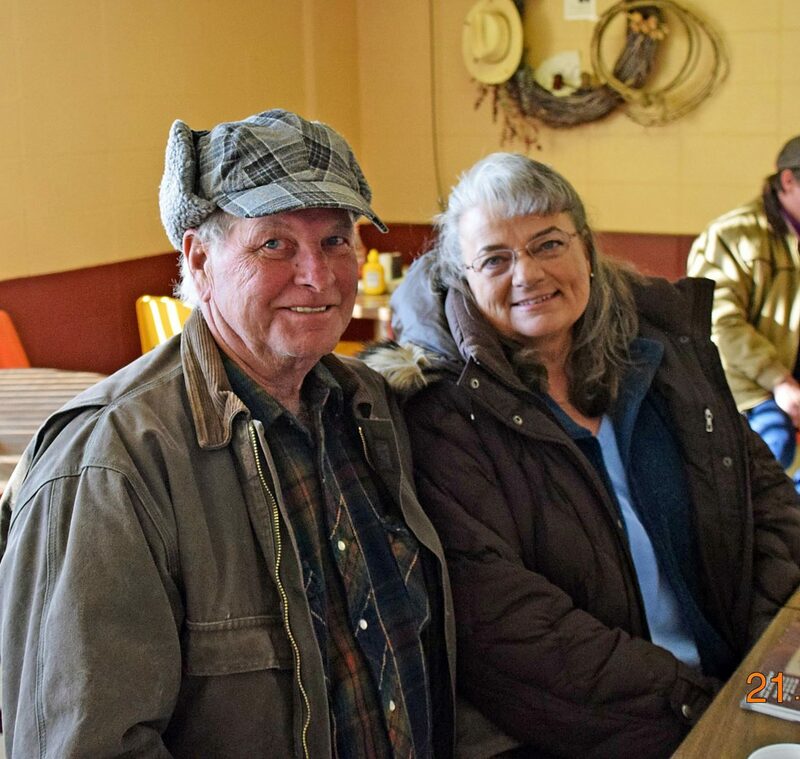 Larry and Nell Ryno purchased four Angus bulls from the Larsons. 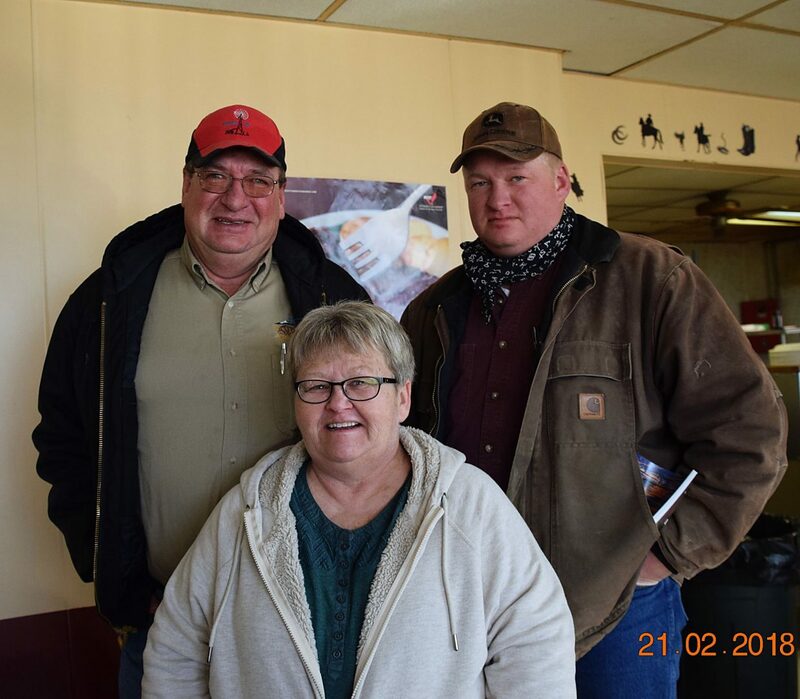 Norv, Debbie, and Nathan Millard were volume buyers with the purchase of nine Charolais bulls. Bill Robinett, Jerry Campbell, Scotty Turner from Tuttle, Oklahoma purchased bred heifers from the Larson Family. 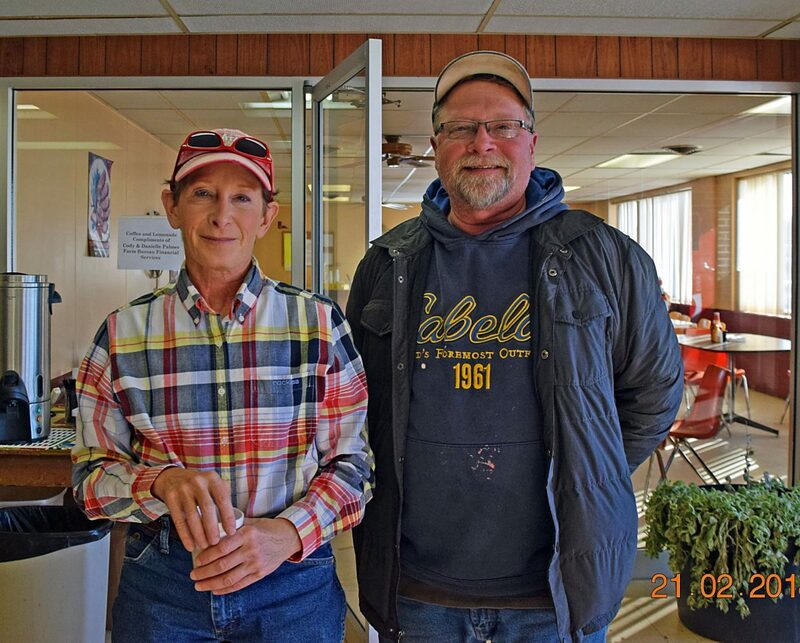 Sonya Aasby & Steve Thomas purchased the top selling Charolais bull. The air was crisp, but the highways were dry for the 49th Annual Production Sale of the Larson Family Ranch. 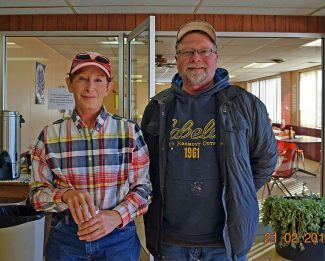 Bull and heifer buyers from Oklahoma to North Dakota filled the seats at Presho Livestock in Presho, South Dakota, meaning the Larson Ranch had yet another successful sale. 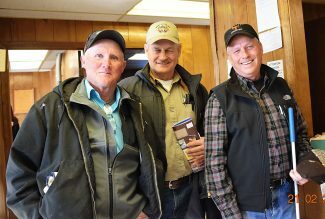 World class auctioneers, Matt Lowery and Dan Clark, kept the sale rolling as they sold right at a hundred bulls and three hundred reputation bred heifers in just over three hours. The top selling yearling Angus bull was Lot #7, a 2017 March calf that sported an adjusted 205-day weight of 812#. He was purchased by Doug Perry of Vivian, South Dakota for the selling price of $10,000. Topping the Charolais bulls was Lot #65, purchased by Sonia Aasby of Thomas Ranch in Presho, South Dakota for $9,750. The volume buyers were the Millards of Presho, South Dakota, who purchased nine of the Larson's yearling and two-year-old Charolais bulls with a number of buyers purchasing three or more bulls.